Who can pass up a big dish of chicken wings? Spicy, crunchy, and delicious, they're simply irresistible. The Ultimate Chicken Wing Cookbook is the definitive collection of recipes for the chicken wing lover. Filled with easy, addictive recipes that run from classic to exotic, you will discover some of the BEST chicken wing recipes in the world! Your family and friends won't touch fast food once they have tasted just some of these wings. 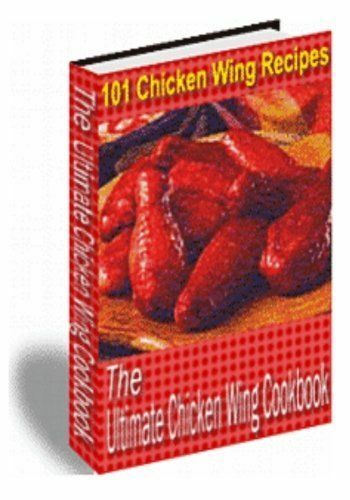 The Ultimate Chicken Wing Cookbookcontains 101 of the best chicken wing recipes.